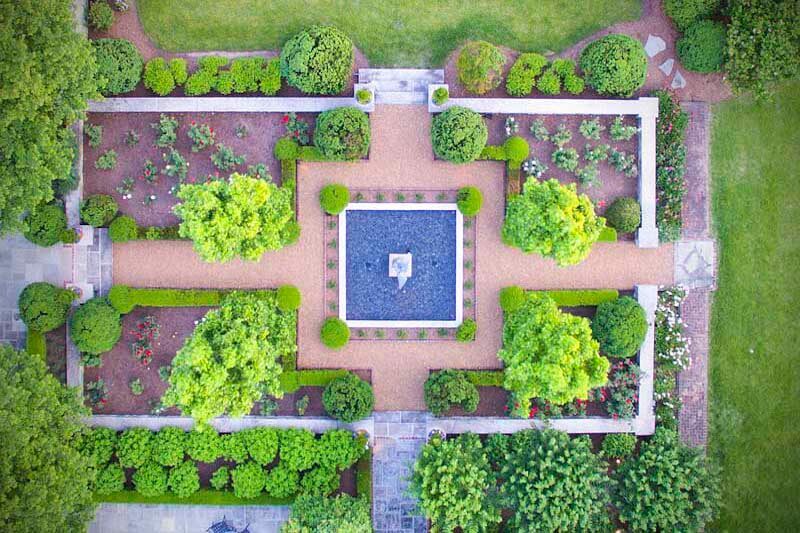 When we imagine the garden of our dreams, the images we summon inevitably look like something PAGE|DUKE Landscape Architects would create. No doubt, this is because we are inspired by the timeless artistry channeled into all of their projects. Founder Ben Page and business partner Gavin Duke both share a reverence for the land and a passion for natural beauty. It is their mutual, deep respect for the outdoors, combined with a lifetime of experiencing its beauty that fuels their company’s creative fire. For Ben, spending time as a boy on his grandparents’ and great grandparents’ farms fostered an appreciation for the natural elements that create beautiful gardens. Ben received a degree from University of Georgia in Landscape Architecture, then went on to found PAGE|DUKE. And for Gavin, a childhood spent rural Arkansas, was an extended, welcome lesson in the surrounding woods, farms and craftsmen of the Ozark Mountains. His world travels gave him insight on the historical and contextual elements of landscape architecture. Gavin quickly rose to the tops ranks of the firm, eventually becoming a partner. Both partners’ personal involvement with their clients, coupled with the extensive knowledge of all phases of landscape architecture, have established them as the premier landscape architects in the Eastern United states. Guided by the principle that collaboration builds long lasting relationships with their clients, PAGE|DUKE understands that a shared vision is critical to the design process. PAGE|DUKE’s expertise includes landscape architecture, land planning, and urban design for residential, community, and institutional clients. Projects vary in size and scope— from intimate gardens and outdoor living areas to expansive public spaces and estates.